#43. 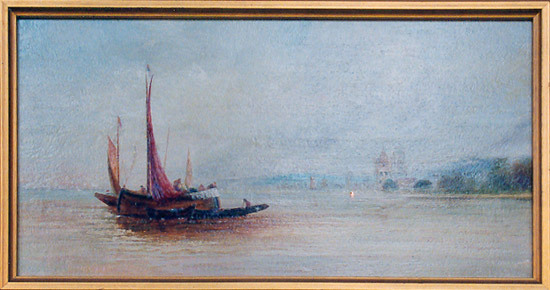 Oil painting showing a sailboat on the Rhine with castle in the background. frame: 12 x 20, unframed size: 9 1/2 x 17 1/2 inches.